The autogyro has always held a particular fascination for me ever since I first saw one at the Imperial War Museum Duxford as a young boy. Widely regarded as the ‘missing link’ between aeroplanes and helicopters, I find their unique appearance and flying characteristics absolutely fascinating. 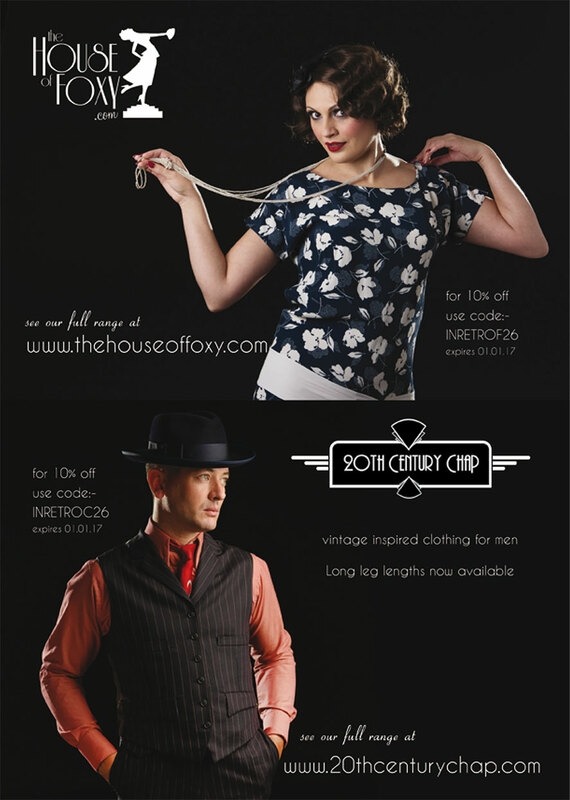 That they’ve appeared in three of my favourite films – It Happened One Night, The 39 Steps and The Rocketeer – merely helps to cement their appeal! December 2016 marks the 80th anniversary of the death of autogyro’s inventor, so what better time to rediscover this extraordinary machine. 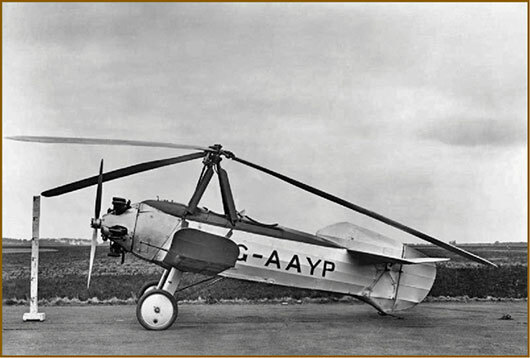 The very first autogyro flew on the 17th January 1923 and was the brainchild of a Spanish civil engineer and aviation enthusiast – Juan de la Cierva (Count De La Cierva, in fact!). Born in 1895, Cierva caught the flying bug after seeing the Wright Brothers’ Flyer in Paris in 1908. In the following years de la Cierva, spurred on by this encounter, went on to achieve civil engineering and aeronautics degrees as well as a pilot’s licence. In 1912 at the age of only 17 he built his first aeroplane, based on a French design, which he christened the BCD-1 El Cangrejo (Crab). This was not only Cierva’s first aircraft; it was also the first ever aeroplane to be built in Spain. Over the next few years Cierva continued to increase his understanding of powered flight and refine his designs, first with the BCD-2 in 1913 and then the C-3 three-engined bomber, built for a Spanish Army competition in 1919. It was this aeroplane that would unwittingly inspire Cierva to explore rotary-winged flight, as during the contest the pilot of the C-3 flew too slowly, stalled the aeroplane and crashed it into the ground wrecking it completely! 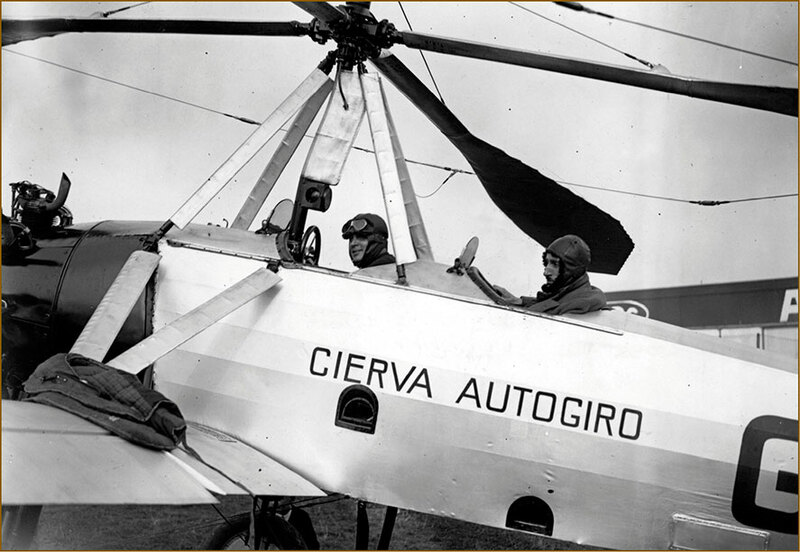 Cierva resolved to design a machine that could not stall and, after playing with a simple helicopter-like toy at his parents’ home, struck upon the idea of what he called in Spanish the Autogiro. The resulting C.1 of 1920 consisted of a standard aeroplane fuselage but instead of wings it sported two large contra-rotating blades above the pilot’s head. With aeroplanes still very much in their infancy and the development of the helicopter even further behind, Cierva’s designs were based on the theory of autorotation – whereby the rotors when set at a certain angle would constantly rotate as a result of the airflow passing under them in forward flight. Unlike in a helicopter, which gets its lift from the powered rotor pushing air down through it, in the autogyro the unpowered blades worked like the wing of a normal aircraft (albeit spinning! 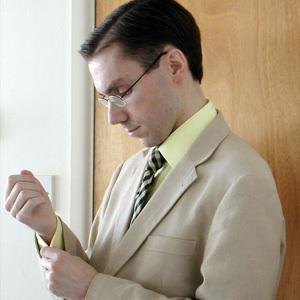 ), producing lift in the usual way. Those spinning seed pods of the maple tree that we all enjoyed throwing up in the air as children use the same effect, so next time you see a falling maple seed think of the autogyro! The C.1 ended up being more of a test-bed for Cierva’s theories. It never actually flew as it was discovered that the two blades spun at different speeds, causing the aircraft to tilt dangerously to one side. However when taxied along the ground it did at least prove Cierva’s autorotation theories were sound, so in 1921 he promptly moved on to designing the C.2. The C.2 proved to be more troublesome than the C.1 albeit for different reasons. Cierva had wanted to use duralumin for the single five-bladed rotor but the metal proved expensive and hard to find, so after a few months the C.2 went on the back-burner and Cierva started work on the C.3. 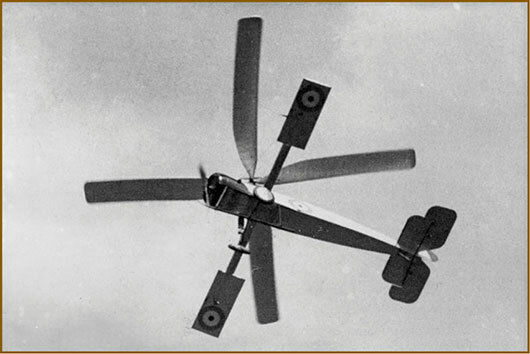 The C.3 was the first of Cierva’s designs to have the soon-to-be-familiar three-bladed rotor, which he continued to experiment with in his bid to obtain better lift. However beyond a few short hops off the ground the C.3 proved stubbornly unable to remain airborne; the C.2, which was eventually completed after the C.3 in 1922 turned out to be equally earthbound. It was the C.4 that proved to be Cierva’s breakthrough machine. Building on his previous models’ design he strove to overcome their two most fatal flaws – the gyroscopic tilting effect caused by the rigid spinning rotors and the phenomenon of unbalanced lift, where the blade travelling away from the direction of the airflow creates less lift than the blade travelling into it. The solution came to Cierva from the most unlikely of sources – an opera! The set included a windmill and Cierva’s ready mind immediately noted that its blades were individually hinged, allowing them to move separately depending on the direction of the airflow. He returned to his workshop to apply independently hinged rotors to the C.4 and they worked a treat, completely eliminating both problems. On the 17th January 1923 Lieutenant Gomez Spencer (great name!) became the first man to pilot an autogyro in controlled, sustained flight. Just three days later Cierva’s theories on autorotation were proved beyond doubt when during another test flight the engine on the C.4 failed at low altitude, causing the machine to pitch up into what in any other aircraft would have been a fatal stall. Instead onlookers watched agog as the machine, its rotor blade still spinning happily away, simply floated down to a safe landing. Cierva continued to refine the successful C.4 but, with the Spanish government uninterested and his family coffers not inexhaustible, he was forced to take his designs elsewhere. Having used an Avro fuselage as the basis of his newest C.6 he took that aircraft to the Britain, displaying it at the Farnborough Air Show in 1925. Several highly-placed spectators were suitably impressed, including representatives from Avro and a Scottish industrialist called James Weir. Cierva was invited to continue his work in Britain and with Weir’s assistance established the Cierva Autogiro Company in 1926. With Avro’s input Cierva’s designs evolved rapidly, the final few teething problems eliminated within two years so that by 1928 a Cierva C.8 was entered into the King’s Cup Air Race (London-Glasgow-London). The autogyro was forced to withdraw but later went on to fly 3,000 miles around the British Isles, before becoming the first rotary-winged aircraft to cross the English Channel on a flight to Paris the same year. Further innovations followed. Originally the unpowered rotor had to be spun up manually prior to take-off – usually by coiling a rope around the rotor hub and having half a dozen men or a couple of horses pull the other end for all they were worth! Cierva had the ingenious idea to design the tail-plane in such a way that it would deflect the airflow from the propeller up into the rotor and so start it spinning. This ‘scorpion’ tail proved partially successful in the C.19 of 1929, providing that aircraft with a much shorter take-off run than had previously been required, but Cierva continued to investigate alternatives. By this time other aeroplane companies were finally beginning to take an interest in Cierva’s autogyros. The first was the Pitcairn Aircraft Company, in Pennsylvania USA. Company founder Harold Pitcairn bought the rights to build Ciervas under license in 1929 and proceeded to produce his own models, based on Cierva’s designs, starting with the PCA-1. Pitcairn would go on to make his own improvements to the autogyro just as Avro had done, including the solution to the spinning up of the rotor when he fitted a special driveshaft to his 1931 PCA-2 model that allowed the engine to be disengaged from the propeller and used to spin the rotor instead. Cierva would go on to adopt the same mechanism the following year with his C.19 Mark IV. Pitcairn’s autogyros became as successful in the United States as Cierva’s were in Europe. 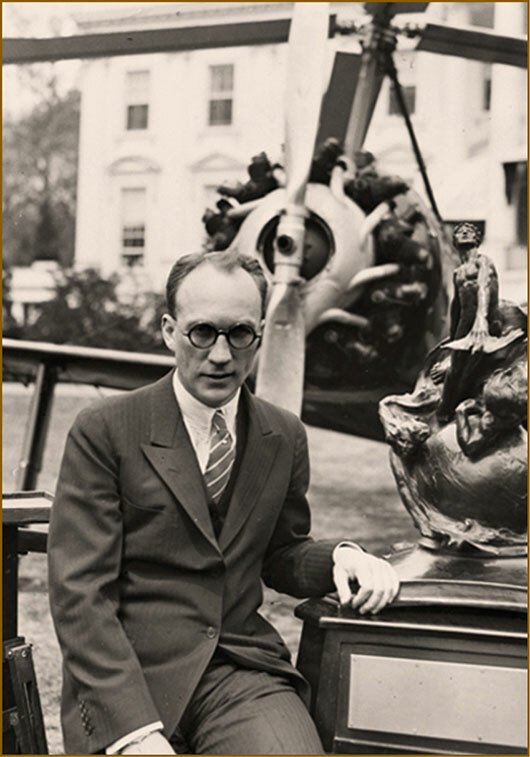 In 1931 a PCA-2 became the first aircraft to land on the lawn of the White House, with President Hoover presenting Pitcairn with an award for his autogyro work. Amelia Earhart flew a PCA-2 around the country in 1932, in the process setting a world altitude record for autogyros of 18,415ft. The Detroit News bought one for use as a news aircraft – the ancestor of modern-day news helicopters! Meanwhile back in Britain the autogyro continued to enjoy equal success. Police forces used autogyros for crowd control at major sporting events; others were flown at air shows or used at flying schools. Some were even fitted with floats and operated from the water, using the even more wonderful name of a ‘hydrogyro’. Further production licenses were granted to Focke-Wulf in Germany as well as companies in France, Russia and Japan. In 1934 Cierva made one more big design breakthrough – direct control. Up until then all autogyros had wings – albeit short and stubby – with traditional flaps, as well as a rudder, which were still used to control the pitch, yaw and roll of the machine just as in a normal aeroplane. 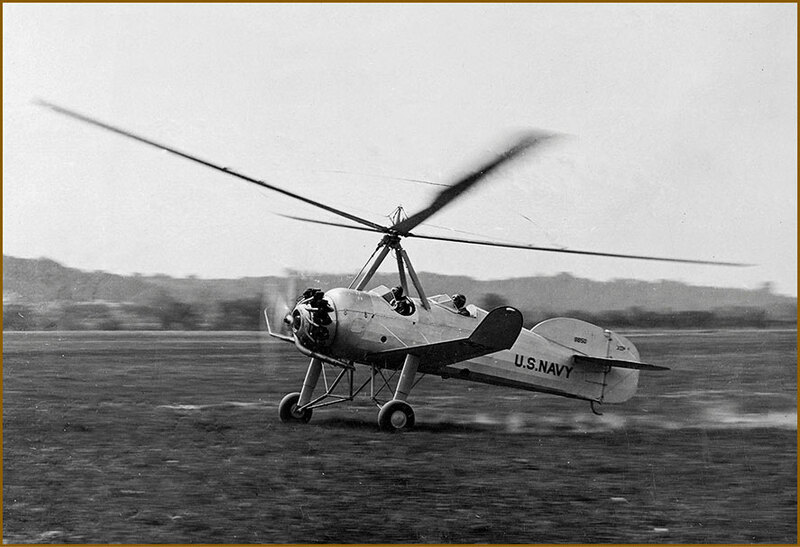 Cierva was now able to fit a mechanism that allowed the pilot to tilt the rotor slightly in whichever direction they wanted the machine to go, eliminating the need for flaps and rudders. The resulting C.30 became an even more bizarre-looking aircraft – a wingless fuselage sporting a radial engine at the front and a massive three bladed rotor above the cockpit. A proper ‘flying windmill’, nothing of its sort had been seen before – nor would be again! By the mid-1930s, however, development of the helicopter was coming on apace – thanks in no small part to the pioneering work of de la Cierva and Pitcairn themselves. Focke-Wulf, which manufactured the C.19 in Germany as the brilliantly-named Heuschrecke (Grasshopper), took Pitcairn’s direct driveshaft design and refined it further with the view to making a true vertical takeoff machine (at best the latest autogyro could manage a short jump of 20-40 feet into the air before needing to switch to horizontal flight) with the rotor powered by the engine at all times. On the 23rd June 1936 the world’s first helicopter, the Focke-Wulf Fw61, made its maiden flight in Munich. With the advent of the helicopter the autogyro’s days were numbered, but this incredible machine still had some life left in it. In September 1936 a Cierva autogyro became the first rotary-winged aircraft to land on an aircraft carrier, HMS Furious. The C.30, as the pinnacle of autogyro design, was unsurprisingly the most successful of all with almost 150 built (about ten of which still survive). Avro’s licensed version, the Rota, was used by the RAF as army co-operation aircraft throughout the late 1930s. After the death of its inventor, the arrival of a new and arguably better rival machine and with war looming, the autogyro began its final slow descent into oblivion. Its last hurrah came, in of all things, the Battle of Britain in 1940. A dozen RAF Avro Rotas, based at Duxford, were used to calibrate the radar stations which would prove so vital in tracking the incoming enemy aircraft. Before, during and after the battle these slow, weird-looking and unarmed autogyros would hover above the English Channel, giving the radar stations something stationary to aim at. They in fact continued in this role until the end of the war, only being sold off in October 1945. 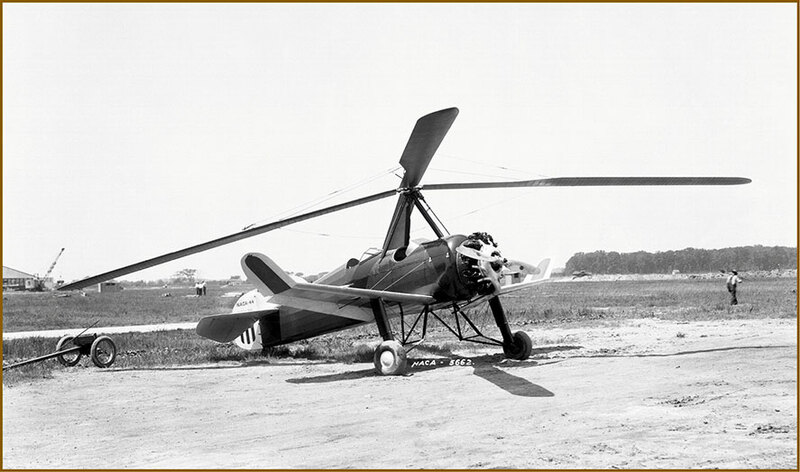 Although Cierva (and Pitcairn) believed that the autogyro was a simpler, better design than the helicopter, shortly before his death Cierva did begin work on an autogyro-helicopter hybrid that used the principles of both aircraft called the gyrodyne. After the war this was taken up by the Fairey aircraft company, who even produced a prototype, the 1959 Rotodyne. But with advancements in helicopter design, little interest was shown by potential customers and the project came to nought. The autogyro had one last trick left up its sleeve, however. Reinvented as the gyrocopter – with an open tub-shaped cockpit and a rear-mounted propeller, much like a microlight– it found a new niche for itself as a light, sporting aircraft that remains popular to this day, with perhaps the most famous example being Little Nellie from the 1967 James Bond film You Only Live Twice. But Mr Bond can keep his silly little toy helicopter. The magnificent and sadly forgotten autogyros of the 1920s and ‘30s remain the only rotary-winged aircraft licensed to thrill this chap!